What great books did you hear about / find this week? SHARE WITH US YOUR FRIDAY FINDS! 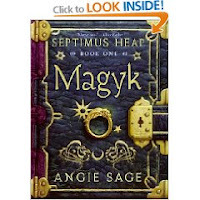 A young adult fantasy novel, Magyk in which the seventh son of a seventh son that must battle the forces of dark magyk. 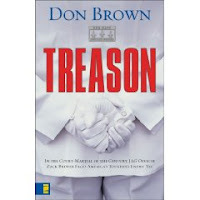 A legal thriller by Don Brown: Treason. Excerpt from back cover: " The Navy has uncovered a group of radical Islamic clerics who have infiltrated the Navy Chaplain Corps, inciting sailors and marines to acts of terrorism. And Lieutenant Zack Brewer has been chosen to prosecute them for treason and murder." 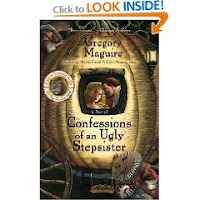 Check out Should Be Reading to see what MizB and others have discovered this week. 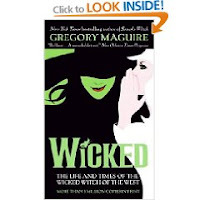 Anyone who has stopped by my blog in the last month or so will know my book obsession lately is Twillight. It's a 4-series set, written by Stephenie Meyer, The characters are sooo addictive!